transportation for more than fifteen years. There are so many moving pieces when planning your wedding day. It's very stressful no matter how much help you have, but hopefully you will get some assistance from a wedding planner or family member. It is a time to choose "big ticket" items like a venue, wedding photographer, and limo service. American Luxury Limousine likes to help engaged couples with the stress of picking a good limo company for their special day. It's important to show them how to pick a good provider over a bad one before they ever step foot in the car. A good and respected limo service can make sure that you get to your ceremony on time, in style, and help make your wedding day unforgettable. See our Los Angeles wedding limousine gallery! In order to gage what size limousine you require, you must know the size of your wedding party. Luckily most engaged couples know this information well in advance. You must consider what your transportation needs are. Do you just need a sedan to take the bride and groom to their hotel, or a limo bus to transport your out-of-town guests to and from their hotels. 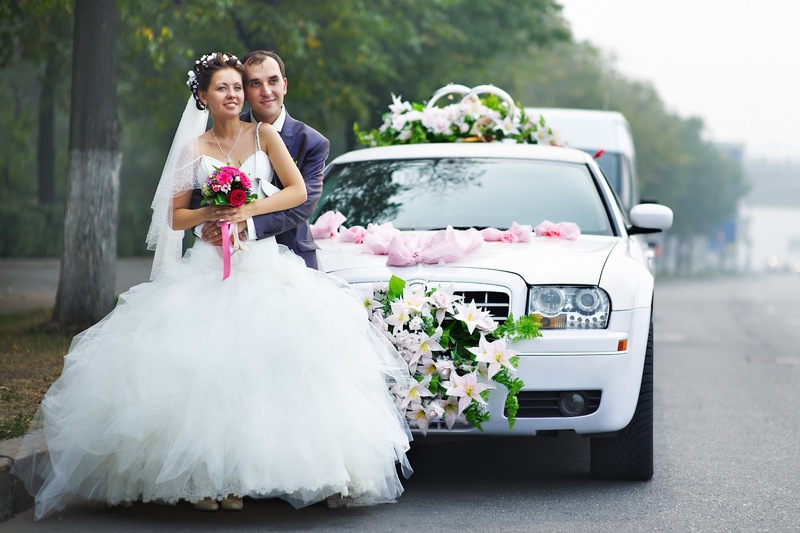 Wedding season is a very busy time for limousine companies. It's not as bad as prom time, but if you are getting married in peak season, you must make sure to confirm your booking well in advance. In colder climates the peak season months tend to be June and September, but all summer months are usually very busy; around December and the holidays it is also peak time. In warmer states couples tend to avoid the sticky summer months and choose months with mild weather. Check out our LA wedding limo testimonials. The best part is choosing the limousine you want. There are potential pitfalls with any vehicle, so don't be so quick to fall in love with any one make or model. Older classic cars have charm, but must be very well maintained, otherwise you take the risk of a breakdown. When a breakdown at a wedding happens chaos ensues. There was a wedding limo breakdown in Cleveland that was reported on ABC the summer before last. The wedding party was forced to take taxis, at a cost of $170 and a two hour delay of the wedding. Even the leader of the free world is not immune—President Obama’s limo broke down in Israel after the driver put regular gas in the tank instead of the diesel that it requires. You should consider inspecting the limousine you are going to book. Is the interior attractive and clean? We have all the latest models. Usually, your wedding day will include photos, ceremony, reception, and the trip to your honeymoon hotel choice. 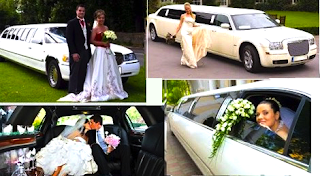 Most wedding require the limo at least to transport the bridal party to the wedding ceremony and reception, although you’ll also need to plan how the bridal party will make it home after. An LA wedding limousine will for sure make the day memorable! Although limos usually rent by the hour, some limo companies have limo packages that include red carpet service, champagne, and a set period of service. Packages sometimes don't allow for extra stops or wait time so be sure to ask these questions when booking Also, be aware of any extras: parking fees, gratuities, and other charges such as fuel or licensing tax, etc. These extras can make a good deal into not such a good one. It's a must these days to check out reviews of any company you are going to hire, especially vendors for one of the most important days in your life. Reviews can tell you a lot about a limousine company, especially if there is a common theme, such as being late or good customer service. Positive or negative, you can gather a lot about the company. We recommend checking Yelp! A good limousine service should provide you with a clear agreement, in writing, that covers the services they intend to provide, the cost of those services, and the cancellation policy. Most limo companies require 1-2 weeks cancellation, as the cars are hard to re-book on short notice. Be sure to ask about insurance and licensing. Is the limo service in good standing with the Public Utilities Commission, The CHP, The DMV, etc? A reputable limo company is often a member of industry groups like the GCLA, Chamber of Commerce, or the National Limousine Association. Many limo services provide wedding decorations and other extras as part of the wedding package, but if you have other ideas, ask whether the limo service can accommodate you. If you are planning your wedding day and still need a limousine service, get in touch with American Luxury Limousine.